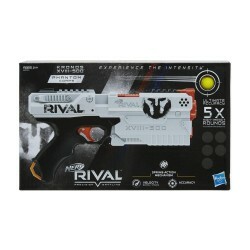 Customize this blaster to defeat the competition! 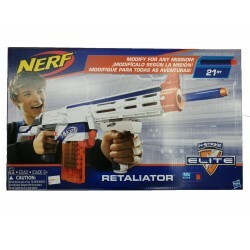 The Nerf N-Strike Elite Delta Trooper comes with an attachable stock and barrel extension to modify it for battle-ready action. 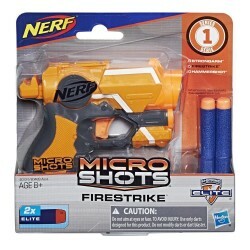 Attach the stock to help stabilize shots. 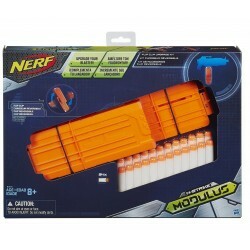 Add the barrel extension for distance targeting. 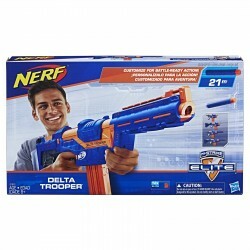 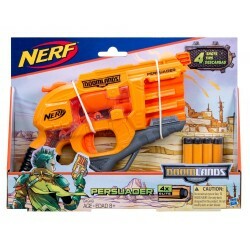 The Delta Trooper blaster comes with a 12-dart clip and 12 Elite darts, so battlers can unleash a dozen darts in a row before it’s time to reload. 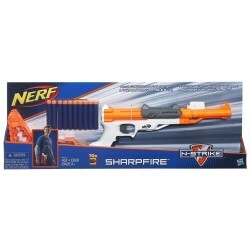 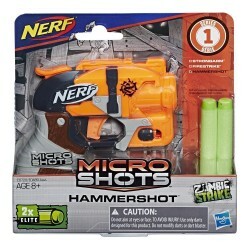 Load the clip into the blaster, move the slide backward then forward to prime it, and pull the trigger to fire a dart. 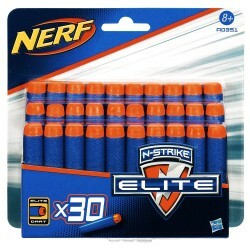 Want to slam-fire all 12 darts rapidly? 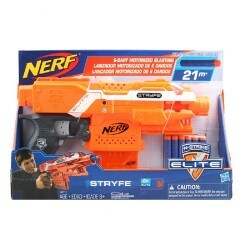 Hold down the trigger and keep pumping the slide backward and forward to overwhelm opponents!